He landed up in the arts after an attempt at law and politics. Mfundi Vundla’s office in Auckland Park is where he holes himself up when furiously writing plots. It did feel as though one was trespassing in an artist’s studio. Books, papers and CDs were scattered everywhere – David Greenblatt books and the Andy Warhol Diaries on the floor, a copy of Mandy Wiener’s Killing Kebble on the couch, with a visible bookmark well into the story, and an Amy Winehouse “Frank” CD on his desk. For a man of 64 he is more than in touch with pop culture and literature. One of 11 children, Vundla speaks nostalgically about growing up in a big family. There was definitely a fight for resources especially when it came to food, he laughs. But no one ever messed with him or his siblings whom he is very close to and they still get together regularly as a family. Vundla is still reeling from Winnie the Opera staged at the State Theatre last month. The opera is going to be performed for years to come and he’s elated to have been part of the project that tells the story of Winnie Madikizela-Mandela’s life – some of her most painful memories including the controversies surrounding her kidnapping and fraud conviction. Vundla said that to her credit, Madikizela-Mandela did not interfere with the production and she was very emotional once she had seen it. She told Vundla after seeing the opera she felt truly acknowledged and also told CNN Vundla had done an amazing job. And how could he not become attached to the movie with its controversy and humanity? God took care of him, he said, and gave him Winnie the Opera. When news broke that Madikizela-Mandela would not be granted a visa for Canada to see a show based on her life, due to her criminal record, Vundla looked into the issue. It so happened the team behind this production, film-maker Warren Wilensky and South African born composer and musician Bongani Ndodana-Breen had completely re-worked the show to bring it to the South Africa and to Madikizela-Mandela. They entered into talks with Vundla who agreed to be both producer and librettist for the project. With financial aid from the Department of Arts and Culture, the show went on. The opera seems to have afforded Vundla creative justice. It makes it hard to believe Vundla never planned a career in the entertainment industry. He admits to being a “closet poet” as a young child, with an affinity for theatre and the arts. He chose to study politics and law at Fort Hare. His time there was short-lived as he was expelled in 1968 in his second year of studies. He was part of a group of 21 students kicked out of the university for trying to mobilise students politically. He came back to Johannesburg and made friends with a group of students from Wits University who helped him secure a scholarship at the University of Massachusetts. Although he had a passport at the time, it turned out to have expired. Time stood still as he waited for his new documents. Without the passport he would lose his opportunity to go overseas. So he did what would eventually prove to serve him best, put pen to paper and wrote a telegram to social justice campaigner Helen Suzman explaining his situation. Within a week she had assured him that the passport was in the post and Vundla duly went overseas. During his time abroad, he juggled a 9 to 5 job with writing plays. It was only until he met a fellow South African that things started to stir up. She introduced him to her brother-in-law, who was a leading cop drama writer and producer. He became Vundla’s mentor. Through working closely, Vundla learnt on the job – scriptwriting, how to write a plot and character development. He spent 21 years in the States but always planned to come back home. So he returned following Nelson Mandela’s release from prison, together with his American-born wife, Karen. Vundla approached the SABC – he may have had no formal training but was a Hollywood trained scriptwriter nonetheless and wanted to work locally. Sadly for him, the SABC did not do cartwheels about his Brixton cop drama idea, but they were looking for a soap opera. After spending time with his brother, who had made a successful career for himself in the world of advertising, the idea for Generations was born. Vundla pitched his concept about the glamorous lives of the ad world and won the national broadcaster over. That was 18 years ago. So who are his favourite characters and which story lines are his best? Having worked closely with the cast and crew for many years, it’s natural that Vundla has a close bond with members of the team. But asking him to name his favourites is like asking a parent to choose their favourite child – you’ll never get an answer. But he speaks of Sophie Ndaba, Connie Ferguson and Katlego Danke among others with adoration. New soapie on the block, The Wild, which is screened on M-Net has been the subject of gossip and debate in television and media circles. So, what does he think? He agrees that the setting of the show is beautiful but there are problems being faced that Vundla says were inevitable. The majority of South African productions are shot on set in an environment that can be controlled completely. Vundla explains that Generations is shot daily but production is three months ahead. And his feelings on Connie Ferguson jumping ship? Vundla says that neither he nor Connie knew she would end up on The Wild when she left Generations but M-Net snapped her up. He still has a very close relationship with the actress and sees her regularly. The photographs, paintings and certificates on his wall tell a story of a man who has experienced so much of life – both the bitter and the sweet. But there is a moment in time that reigns supreme for Vundla. He recalls the day fellow producer Frederick Stark came running into his office breathless to inform him that the president at the time, Nelson Mandela had requested to have lunch with the cast and crew of Generations. After Stark confirmed this was not a prank call they broke bread with the president, who thanked them for their wonderful work on Generations and bringing credibility to the industry. His son is also making his mark in the entertainment business. Charles Vundla’s much anticipated film, How to Steal 2 Million, a story of gambling debt that goes terribly wrong,will screen nationwide later this year. It will be Charles’s first major movie and dad is very proud. So what does he think will make our nation a great one? He refers to George Eliot’s novel, Middlemarch, in which the people who made England are said to be the ones lying in unmarked graves. In South Africa there are nameless and faceless people we don’t know, who get up every morning and go to work. These people make our country great. These people will mostly die unnoticed barring their family and friends – but it’s their hard work this country so desperately needs, he says. Education: Matriculated from Morris Isaacson High School in Soweto. Enrolled at Fort Hare University for a BA in politics, philosophy and English but expelled in 1968. Received a BA in politics and English at the University of Massachusetts and a masters degree in education from Boston U. Political life: Although Vundla went into exile in the US in August 1970, he remained an active member of the ANC. While abroad he helped found the African Arts Fund, which raised money to take black, coloured, and Indian South Africans to the US to study fine arts. The fund was responsible for educating several well-known South African artists, dancers and musicians. As an active member of the ANC, Mfundi raised awareness about apartheid in California, fighting for its abolition. After the dismantling of apartheid, Mfundi settled in South Africa in 1992, joined by his wife and son in 1993. 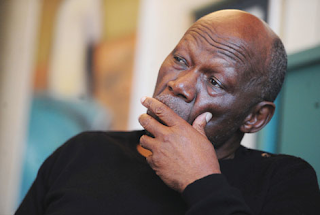 Past Productions: In that same year, Mfundi created Generations, which he took to the SABC. To date, the soapie remains influential as the first local show to focus on the needs, dreams and aspirations of black people. In 2000, Vundla obtained a contract from e.tv for a new youth soap opera; and so Backstage was born. He broke new ground, using it to develop and showcase South African talent. He was also the executive producer of the movie In My Country, which stars Samuel L Jackson and Juliette Binoche. He also co-created Jozi-H with Karen Briner, a one-hour hospital drama series set in the Johannesburg General Hospital. As a Canadian -South African co-production, it aired in Canada on CBC Television in 2006 and in South Africa on SABC3 in 2007. The 3D animated series Magic Cellar, based on African folk tales, features a multi-cultural cast. The series is a co-production between Vundla and director Firdaus Kharas with original music written by acclaimed South African composer Musa Manzini.